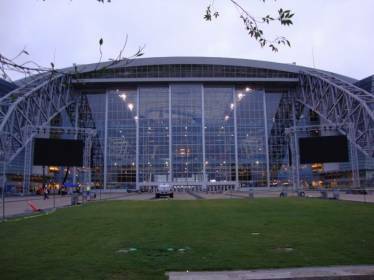 In the summer of 2009, Portland Bolt was called upon to supply large 1-1/2″ diameter galvanized F1554 Grade 55 anchor rods for the new Dallas Cowboys Stadium. The anchor bolts were used in anchoring several custom 3′ square support columns holding high definition video screens located in the “Plaza Patios”. 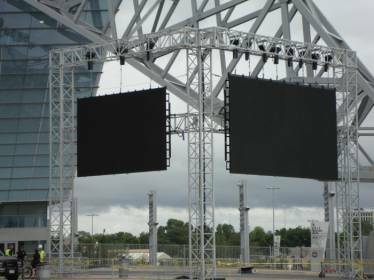 The video screens ranged in size from 24′ x 15′ up to 32′ x 18′, with the larger screens weighing approximately 8000 pounds.